The Vegas Golden Knights will be looking to add a significant player or two to their roster. The Fourth Period: The Vegas Golden Knights have struggled lately and GM George McPhee is looking to make some trades for another playoff run. 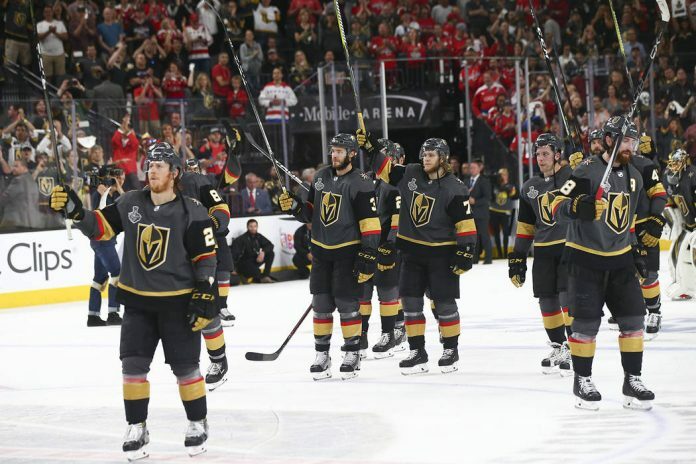 The Golden Knights are in a battle for home ice in the first-round of the playoffs and McPhee is believed to be scouring the League looking for outside firepower. Vegas has plenty of salary cap space to play with this season and has room to add a significant player or two to his roster by this month’s Feb. 25 trade deadline. The Fourth Period reports the Golden Knights have shown interest in Columbus Blue Jackets star Artemi Panarin, New York Rangers right wing Mats Zuccarello, Ottawa Senators defenceman Cody Ceci and Anaheim Ducks winger Jakob Silfverberg. Will the Leafs trade Connor Brown? Will the expected signing of Auston Matthews and Mitch Marner likely to sign a new contract in the summer, that will leave the Leafs in a cap crunch for next season. TSN’s Bob Mckenzie presented a scenario where the Toronto Maple Leafs would be able to keep Auston Matthews, Mitch Marner, John Tavares, William Nylander, Kasperi Kapanen and Andreas Johnsson. Kapanen and Johnsson would likely be signing bridge deals to keep their salary cap hit lower. Jake Gardiner will likely sign with another team to free up some cap space, but the likely player that will have to be traded is Connor Brown. 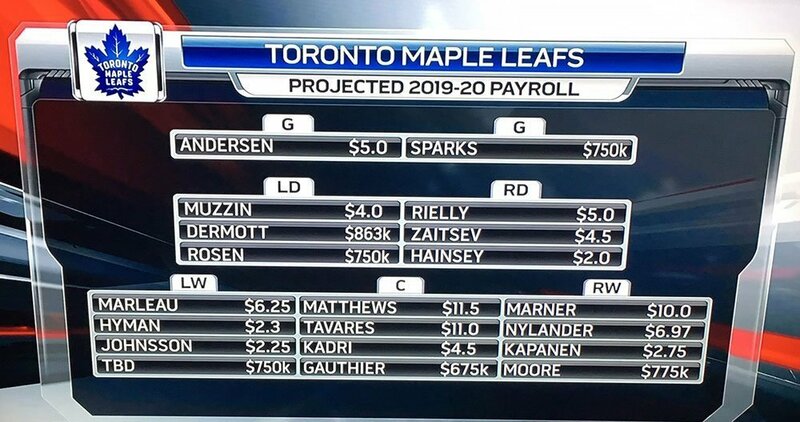 Below you can view the projected payroll and line-up for next season that will get the Maple Leafs under the salary cap. Makes absolutely no sense to trade ZUCC and break up one of the league’s top lines. Vasey a better bet to go.